Ascott Residence Trust's (ART) 4Q18 results beat expectations. 4Q18 revenue grew 2% YoY to S$136.5m, helped by an additional S$0.4m in revenue from Ascott Orchard Singapore (acquired in Oct 2017), S$2.7m higher revenue from existing properties, and partially offset by a S$1.1m decrease in revenue from divestments. 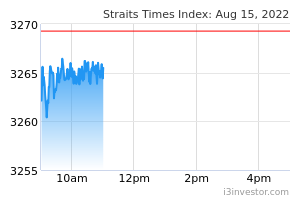 4Q18 gross profit grew 3% YoY to S$63.4m. Standouts include properties in the United States, China, and Japan which saw a 17%, 16%, and 12% YoY increase in gross profit, respectively. 4Q18 DPU increased 5% YoY to 2.15 S cents. 4Q18 portfolio RevPAU grew 5% YoY to S$163. FY18 DPU was up 1% to 7.16 S cents or 106% of our full-year forecast, in part due to higher than forecasted capital distributions made during 4Q18. S$6.5m in partial distribution of divestment gains was made in both 4Q17 and 4Q18, and is higher than our assumption of S$1.6m. In terms of distributable income without capital distribution, ART’s FY18 figure of S$148.3m came to 103% of our full-year forecast, which we consider above expectations. 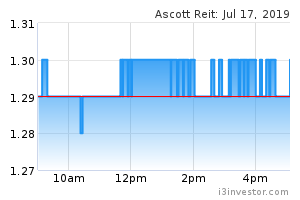 We maintain BUY on Ascott Residence Trust but place our fair value of S$1.18 under review pending further details.